The Graceland experience Archi-new - Free Dwg file Blocks Cad autocad architecture. Archi-new 3D Dwg - Free Dwg file Blocks Cad autocad architecture. When Elvis Presley was a young boy, he promised his parents that he was going to make a lot of money and they buy the best house in the town, ending years of fighting. 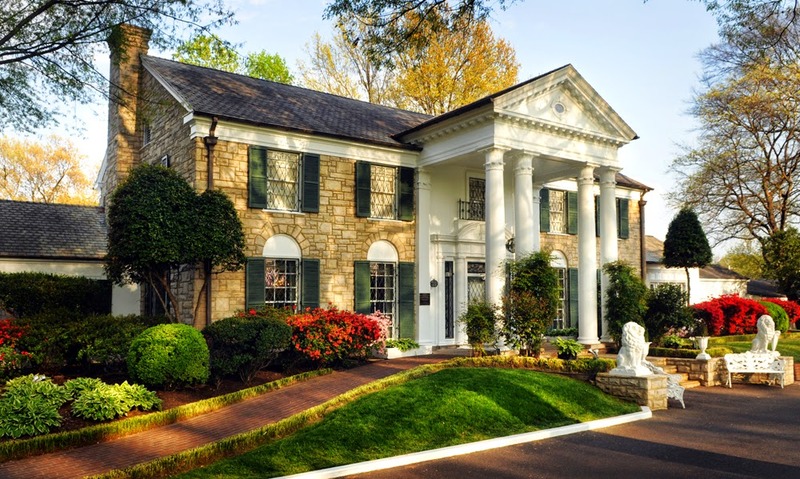 Elvis Presley, Graceland - a manor and remains for himself and his parents Colonial Revival style - was the fulfillment of that childhood promise. During the 20 years he lived here Elvis, Graceland created countless memories of many friends and relatives who were part of the life of Elvis. Due to Graceland was so close to the heart of Elvis, who also has a deeper meaning to his legions of fans worldwide. For many, the home of Elvis Presley embodies the American dream - a poor little city boy who rose to fame and pop culture, and the world changed forever. Besides his daughter and his music was probably Elvis Graceland pride and joy. For fans of Elvis Presley, Graceland is the ultimate pilgrimage. As the door of the home of Elvis Presley opens, it takes you on an unforgettable journey into the private world of an American legend. See what's included in the Graceland circuits.